The cool-sculpting fat-freezing procedure is the only FDA-cleared, non-surgical fat reduction treatment that uses controlled cooling to eliminate stubborn fat that resists all efforts through diet and exercise. The results are proven, noticeable and lasting, thus you will look great from every angle. For some patients a treatment plan may include more than one treatment. For example: you may want to freeze away fat from your inner/outer thighs and get rid of that muffin top. Our trained technicians will customise a plan for you. During your treatment a gel pad and applicator will be applied to the targeted area. 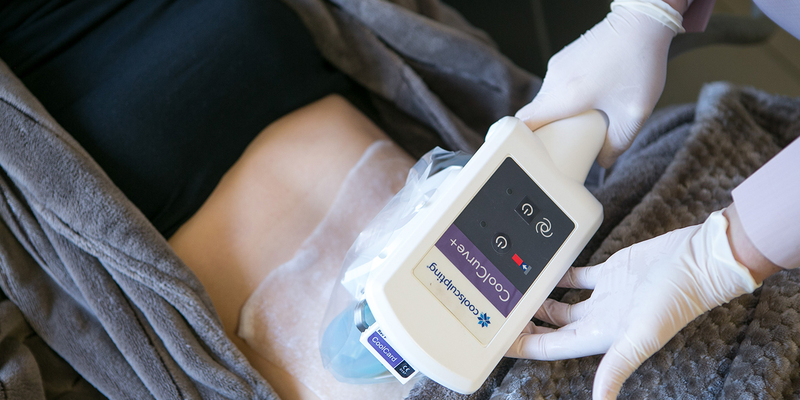 The CoolSculpting applicator delivers controlled cooling to the targeted fat. Though you may feel intense cold initially, this feeling usually subsides within 5 to 10 minutes as the area numbs. After you and your physician select the area(s) to be treated, the device is positioned on your body and controlled cooling is applied. A gel pad and applicator are applied to the targeted area. Vacuum applicators draw the tissue into the applicator cup. Applicators are secured to the treatment area. All applicators deliver controlled cooling to the targeted fat. Following the procedure, typical side effects include temporary redness, swelling, blanching, bruising, firmness, tingling, stinging, tenderness, cramping, aching, itching or skin sensitivity.